No Truce with the Furies is a detective RPG in an original “fantastic realist” setting, with swords, guns and motor-cars. And the shadow of love lost. Wake up as a disgraced detective lieutenant. Put on your disco pants. Explore the gorgeously rendered seaside city of Revachol. Or wander the inside of your own head, talking to your senses, doubts and memories. 24 skills are at your command. Everything you do and say — even the smallest of details — has consequences. No Truce with the Furies is developed by ZA/UM and published by Humble Bundle. 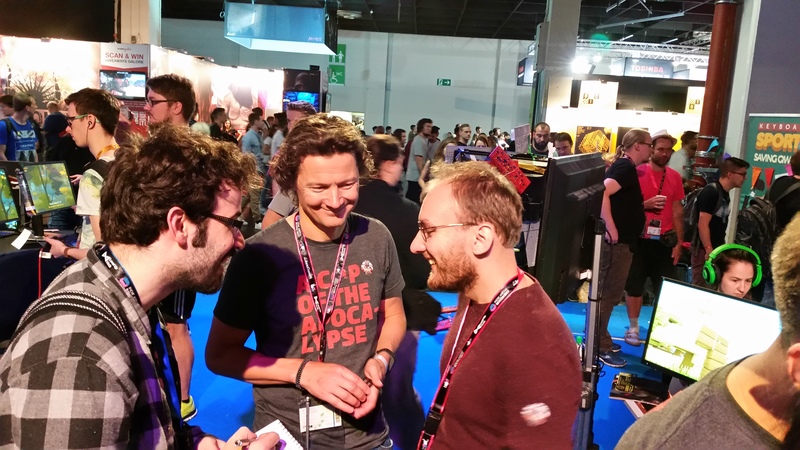 The game was being showcased at the Indie Arena Booth during Gamescom 2017 and we had the chance to pass by and talk to Tonis and Aleksander about it. The developers told us that they were originally part of a cultural movement in Estonia that was more like an affiliation of artists than it ever was a game studio with a lot more non-game projects before development on NTWTF started. “We figured that with a video game, we will be able to reach a global audience,” they explained. Playthroughs of the game can vary based on the player’s play style, since it the title has a non-linear structure. There are a lot of little things that play a major role in the game though, since there is a lot of management control of various elements in it. One of those things are the skills that the main characters gains and explores more throughout the game. Those skills influence various discussions and actions you take in the game. The game is ready at its core and there is basically only content waiting to be added to it, which as we were told, the five writers that the studio has are already working on. The game will come to PC, Mac and the Humble Store. You can get more information on No Truce with the Furies through the game’s Steam page, website, Twitter, Instagram and Facebook.